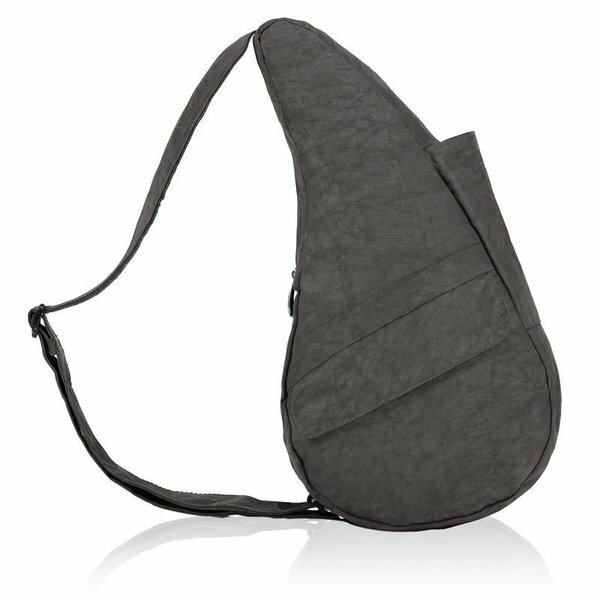 SMALL DISTRESSED NYLON HEALTHY BACK BAG (6103) A mix of durability and ergonomic design that was created to keep you stylish and healthy. MATERIAL: Hardwearing, machine washable, water resistant...just some of the properties of the beautifully textured distressed nylon. Ready-for-anything, lightweight and a great price point makes these HBB's perfect for everyday wear as well as an active, outdoors lifestyle. 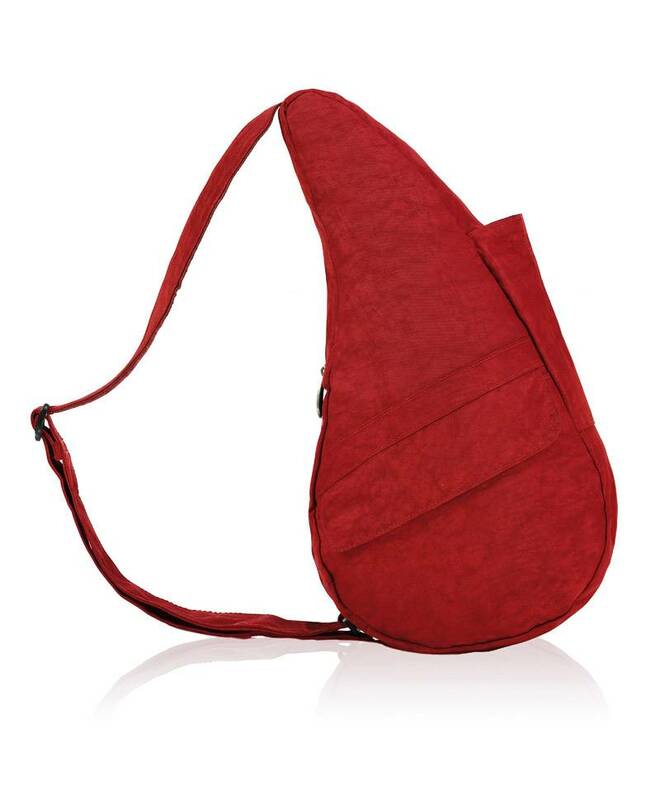 COMFORTABLE: A Healthy Back Bag is the perfect combination of fashion and function, making style effortless. Can be worn cross-body for full back health benefits or over the shoulder to grab and be on your way! ERGONOMIC: Designed to mold to the shape of your spine, minimizing the strain on your back, neck and shoulders. The body-hugging contours and adjustable wearing eliminate twisting or straining your posture. The more places a bag touches your body as you wear it, the lighter it feels...and that’s the secret! BALANCED: Our unique shape keeps weight evenly distributed across your back…so no pulling, no crooked necks or uneven shoulders. SECURE: With the main zip always against your back your stuff is safe and accessible without taking your bag off.Having the double zippers meet in the middle make accessing your belongings a breeze. close zippers and then swing it back around! ORGANIZED: Cleverly designed pockets inside and out mean your stuff is organized the way you want it. Urban Traveller: Exceptional Luggage & Travel Accessories.